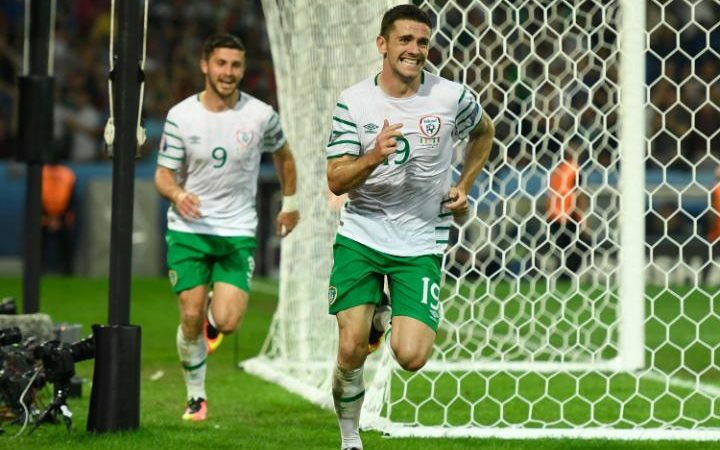 How The Ireland Euro 2016 Heroes Have Done? Some cynics would look at Ireland’s EURO 2016 campaign and ask what was won or where is the trophy but it has to be said that it was a very successful campaign for the boys in green. Ireland is not a major footballing nation by any stretch of the imagination which is evident when you consider how big it is just to qualify for a tournament. Some of that team went over to France with doubters and as bit part players in the team and have come home as heroes. Jeff Hendrick was the standout player for Ireland while Robbie Brady stole hearts with his goal against Italy followed by the penalty against France. The question marks will always be there with Wes. Most would say that he wasn’t allowed a chance to play and express himself when Trapattoni was in charge of the team. The Italian’s defensive structure didn’t allow for a creative playmaker who offered little as a holding midfielder. Instead Glenn Whelan and Keith Andrew were chosen. But the question marks arise when you see that no Norwich manager would use Hoolahan regularly once they got to the Premier League. He is a constant in their championship sides and I heard one pundit say ‘He is so good at this level’ when Wes scored a brace in a championship match a couple of weeks ago. We’ll never know what might have been if Martin O’Neill had taken the job 10 years ago. Hendrick was once the great white hope of Irish football during his time in the Manchester City academy. His loan spells saw him dominate down in the lower leagues as an 18/19 year old. Megabucks City and their international superstars couldn’t make room for Hendrick and he was shipped out to Derby County. He was a solid performer for them but came into Euro 2016 off the back of a disappointing season where he didn’t play as much as he would like. His performances in the EUROs were those of a man putting himself in the shop window. Step forward newly promoted Burnley and Hendrick got his big move. He’s only made five appearances so far but if he can replicate his summer form, Burnley have just got a great bargain. I remember muttering to a friend during the Ireland v Italy match in the summer that Hendrick and Randolph would be changing clubs this summer. I nailed it with Hendrick but Randolph is still at West Ham United playing only when Adrian is unavailable. There is no doubting that Randolph is more than capable of being a first choice goalkeeper when you consider some of the #1s that are in the premier league. Mignolet, Jakupovic and any of the Sunderland ‘keepers are all inferior to Randolph and we at TheSharpe are surprised that he has continued to settle for a back-up role. The darling of Irish football at the end of the summer, Brady has had to adapt to life as a championship footballer. Norwich are flying high and sit second only one point behind Newcastle, in no small part thanks to the Irish duo of Brady and Hoolahan. Both players are playing key roles for Norwich and impacting heavily on their game. They’ve lost only two games out of 13 this season and just a month ago took down Everton at Goodison Park in the League Cup. Who put the ball in the German net? If it wasn’t for this man’s amazing attitude and will to work for the team, it’s very unlikely that Ireland would even have made it to France. His goal against Germany in the unlikeliest of wins was the catalyst to push Ireland towards qualification. The championship itself didn’t go to plan for Long, with the striker failing to score in Ireland’s four games but putting in a shift each and every time. When you consider three of those games came against better ball-playing and controlling teams (Belgium, Italy, France) it’s hard to play as a lone striker. With Graziano Pelle gone from Southampton, Long is now the main striker but hasn’t quite got going yet (I’d know, he WAS in my fantasy team). With Nathan Redmond looking good and Charlie Austin hitting form, he needs to pull his socks up soon and reclaim the form he is known for in the green jersey.